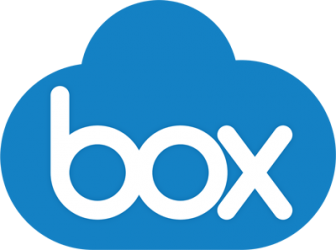 Box is a collaboration tool. The problem is that many users tend to think of it and use it as if it just another place to store your stuff. So, they put stuff in their Box folder and there is sits. Gathering dust. If they need to share a file they attach it to an email and send it to one or more recipients. If it requires editing someone edits it and sends it around. Soon there are multiple versions and different edits. So how do you get around all that using Box? Collaboration options. There are several options open to the Box user to short circuit the scenario above. Files: If you need to send someone a file and they are not at OSU and don’t have a Box account of any kind, you can send them a shared link. In fact, if you have Box for Office installed you can do this without ever leaving Outlook. Shared links can also be used with users at OSU if you’re not planning on collaborating on the file. A shared link will allow the recipient to view and/or download the file depending on the permissions you set. Here is a great how-to-video that goes over shared links. One short coming of a shared link is that recipients of the link can only view or download. They cannot edit and save the file back to its original location. What if you need to collaborate on a file, but you don’t want to collaborate on the entire contents of the folder that file is in? Previously, you had to create a new folder, move that file to the folder and invite a user as a collaborator to the new folder. Now it is possible to collaborate on a single file. You don’t need to move the file to a special folder, you invite a collaborator to the file and they will only see that file. They can edit and save the file back to Box. Note that the same restrictions apply, the collaborator must have a Box account and the permissions are limited to editor or viewer. Folders: Shared links can also be used with folders. Like shared links on files the recipient of the shared link has the option of viewing and/or downloading the folder contents depending on the settings you apply. You can invite users to collaborate on a folder or set of folders. Unlike files you have a greater range of permissions you can assign to those you invite as a collaborator. If you need more information, folder permissions are discussed in greater detail in our Box FAQ on this subject. Using a mail list: If you’ve ever setup collaboration for a group of people in the WebUI you know that it can take time to put each user’s information into the invite dialog. What if you have a mail list? Wouldn’t it be nice to be able to invite them using that? Well you can. Here is how you do that…. Go to the folder you want to invite user to collaborate in and highlight it. Go to the “More options” (box with three dots) to the right of the folder name. Click on it and scroll down to “Settings”. Under Collaboration find “Allow anyone who can access this folder from a shared link to join as a collaborator” and check the checkbox. Choose whether they can join as an editor or viewer. Click “Save Changes” in the upper left of the screen to apply the changes. Select “Share” and “Get a shared link”. Copy the link into your email and send it to your mail list. Make sure you let them know it is coming so they don’t think this is a phishing email. If you are on Windows with Outlook and have Box for Office installed, you can skip steps 7 and following and create the shared link from within your email. In your email message click on the “Message” menu and select “Attach from Box” that appears in the ribbon bar. Browse to the folder you selected in step 1, highlight it, set the Access level. Then click “Insert”. This will insert a link in your email. Now send your email as normal. Upload by email: What if you wanted to allow users to upload files but they don’t have a Box account, or you don’t want them to see the files in the folder? Follow steps 1 through 3 above. This time scroll down until find “Uploading”. Check the check box for “Allow uploads to this folder via email”. if you want to limit this to collaborators, check the “Only allow email uploads from collaborators in this folder”. Copy the displayed email address which will look something like this, 00-I2_U.mc2z086dytvxqknp@u.box.com, then send that email address to your users. Recipients will be able to send an email with an attachment to the address. Once received, Box will save the attachment to the folder. Note: none of the email body or text is saved, just the attachment. This includes images and graphic items included in a person’s email signature. Using the Web: If you wanted to share content with anyone with an internet connection and a browser inviting them as a collaborator or sending emails isn’t going to work well. In this case you can use an embedded widget in a web page. Follow steps 1 and 2, but when you get to step 3 skip settings and continue on to “… More actions”. Mouse over more actions and in the pop up menu you will see “</> Embed Widget” and possibly “Upload Embed Widget”. You won’t see the later if you are not the folder owner or co-owner. Select one or the other and check or select the appropriate settings. Click the following links to get more information. Select “Preview” if you want to know what it will look like, otherwise copy the code provided and embed it in your web page. An example of using an embedded widget can be found near the bottom of our Getting Started page. Hopefully, this has helped. If you have more questions browse over to http://box.oregonstate.edu and check out the content in Getting started or in the FAQs. Drop us a request if you have a question or need assistance with using Box. You finally jumped in a moved all those files off your local hard drive, file share, G Drive or wherever into Box. You carefully planned this move and you have it all neatly arranged in folders and sub-folders with descriptive names so you know at a glance what is where. But then you have the miscellaneous or work folder. In it you have stuff that doesn’t fit in the other folders, it is short term work, or there are copies of files that you have shared because you didn’t want to share it out of the original location. It is a pain to keep up and you don’t really have time to keep going back once a week or once a month or once a year to clean it out and figure what to keep. So, what to do? Enter Box’s expiration settings! While I focused on a particular folder what follows can be applied to any file or folder anywhere in your folder structure. In the drop-down menu click on Settings and then scroll down to Auto Actions. You will also get a notification in your messages as the date gets near. If you decide later to either not delete the folder or change the date you can do that at any time before the set date. Besides setting auto unsharing in the folder settings you can also set the date by clicking the gear icon on the shared link dialog and checking the “Disable shared link on …” checkbox. This is the dialog that popped up when you created the shared link. Setting the auto unsharing of a shared link will not add an icon to the folder name but you will see in the folder details the date set to delete the shared link. Files: Files have similar settings for auto-delete or expiration, and auto unshare for links. 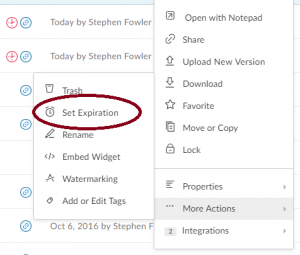 To access the auto-delete settings you go to the three dots to the right of the file name in the drop-down menu scroll down to “… More Actions” and then select Set Expiration. Choose a date and save. A scissors icon will appear to the right of the file name and the file details will show the set deletion date. To access deletion of shared links check box, click on the gear icon above the shared link URL on the shared link dialog box. This is the dialog that pops up when you first setup the shared link. This will take you to the next page of the dialog where you can set the link expiration date. As in the previous image you will get a little clock on the shared link dialog that shows the date when you mouse over it along with a notice in the details that your link has a date set. Now you don’t have to visit or fiddle with those files or folders. They will unshare and/or be deleted on the date set. Want to improve your Box skills? You logged into Box created a folder or file or uploaded some data and now you want to learn more. You want to improve your skills and be more productive with Box. Problem is, you just don’t know where to go for that information. Well here are a few links to help figure out where to go. One of the first places you could start is the OSU Box site and specifically our Getting Started with Box and FAQ pages. On the Getting Started page you will also find links to the local information sessions we conducted at OSU during our Box launch phase. This blog is also a good source of information as we will try and publish new and relevant information for OSU Box users. Traveling a bit farther afield you will want to head over to Box’s Community and Training sites. On the community pages you can get information about how various elements within Box’s web UI work, read what issues other users are experiencing and what they did to fix or work around those issues. One thing that Box is introducing is an Ask the Expert event tomorrow March 31st from 9am to 2pm PST. You have to sign in to the Training forum to participate. 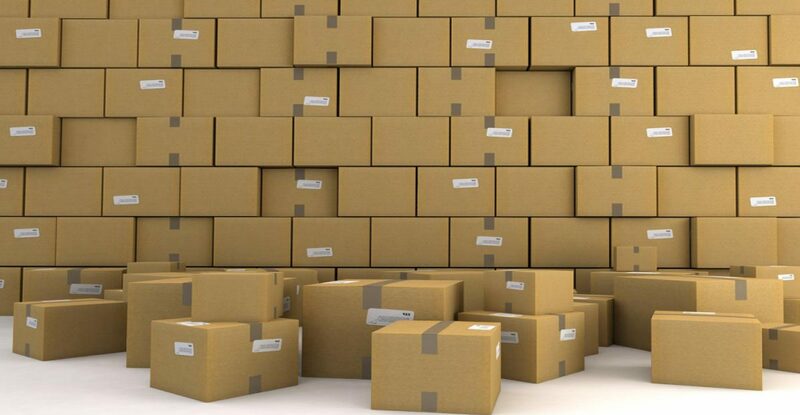 Speaking of Box training, Box maintains a large collection of training material. Besides the forum you will also find a video tutorial library with 19 videos that you can watch on-line or download to watch later. If you want to go deeper you can go to the Box University which has a number of free courses, both self-paced as well as live, that will take you through additional elements of Box. When accessing Box University you can login with your OSU account. 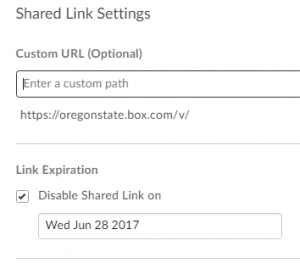 To do that click on the “Login with Box” button, then select “Use Single Sign-on (SSO)”, enter your ONID email address (username@oregonstate.edu), and then your username and password. Once you’re logged in browse the various courses available to you. Box also maintains a YouTube channel that has a number of informative videos on how to use the various features in Box as well as videos showing how others are using Box in their organizations. If you can’t find what you need or want help doing something in Box feel free to reach out to the IS Service desk for help.